After a cold barren winter new life breaks forth. On the 17th day of the Nisan moon the firstfruits of the barley harvest was gathered and waved before the Lord in celebration. On the 17th day of Nisan in 32 A.D. Jesus rises up from the grave. He is the firstfruits from the dead. On that very day He fulfilled the feast. Take it, share it, its yours. then you shall bring a sheaf of the firstfruits of your harvest to the priest. on the day after the Sabbath the priest shall wave it. The Feast of Firstfruits came on the day following the Sabbath, (the weekly or 7th day Sabbath), that came after Passover. It was the first day of the week and a workday, a workday to commence the barley harvest. It was a national and congregational celebration by Israel of the Firstfruits of the barley harvest, as the first sheaves of barley were brought up from the fields by the reapers that year. So the agricultural significance of Firstfruits was this first reaping of the barley harvest in the springtime month of Abib, just as the barley became "Abib", that is "ripe". The month of Abib, an agricultural reckoning of the first month of the religious year, was also named the month of Nisan. Nisan was an astronomical reckoning of the first month of the year. It was the first moon that was going to come to fullness after the spring equinox. 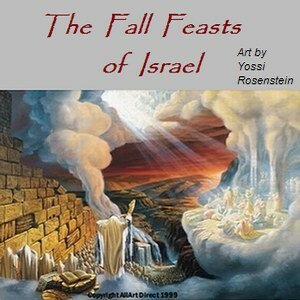 This celebration of the firstfruits of the barley harvest had special meaning for the people of Israel as they set the Hebrew calendar for the year and gathered as a people for their special appointed times. But, (as we shall discover), this celebration, this waving of the Firstfruits of the barley harvest before Yehoveh-God, was destined, in the fullness of time, to take on a further much deeper meaning. The barley harvest was the first harvest celebration of the year. Then counting out fifty days from Firstfruits as day #1 and going out seven full weeks or seven full Sabbaths as stipulated in Leviticus 23:15,&16 came day 49 and then on the next day, the fiftieth day, and on the first day of the week came the Feast of Pentecost. 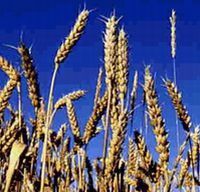 This summer feast day celebrated the beginning of the wheat harvest. In the three spring feasts we see the redemption story of our Savior as it emerged into history nearly two millennia ago. Our Lord Jesus personally fulfilled all three of those spring feasts. They were accurately fulfilled down to the minutest detail. Epic world-changing events erupted into holy history on the very day of the Hebrew solar-lunar calendar in which they were due. Christ was crucified on Passover, Nisan 14 and in the grave at sunset as the 15th day, the first day of the Feast of Unleavened Bread began. In the case of the Feast of Firstfruits on the morrow after the weekly Sabbath of Passover in the year of the passion something wonderful and unexpected happened. Our Savior fulfilled the third feast, the Feast of Firstfruits. He rose from the dead as stipulated in Leviticus, on the morrow after the 7th day Sabbath following Passover on the first day of the week. He was the Firstfruits from the dead. Thus in His resurrection from the dead He fulfilled the Feast of Firstfruits. Resurrection Sunday came right on the Feast of Firstfruits. 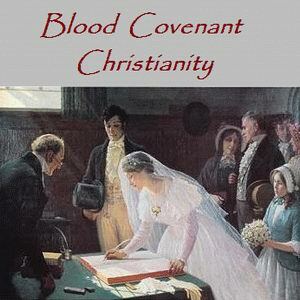 Tis "moed" or "appointed time" had been celebrated, (and foreshadowed), in the Old Covenant. The celebration had been given by YHVH/God through Moses to the covenant people of God as they gathered at Sinai. THE FEAST OF FIRSTFRUITS IS FULFILLED IN THE NEW COVENANT. CHRIST IS RESURRECTED FROM THE DEAD RIGHT ON FIRSTFRUITS. The Feast of Firstfruits was fulfilled by Jesus in His overcoming of death seen at His resurrection. He was indeed the "Firstfruits from the dead". 20. But now Christ is risen from the dead, and has become the Firstfruits of those who have fallen asleep. 21. For since by man came death, by Man also came the resurrection of the dead. 22. For as in Adam all die, even so in Christ all shall be made alive. 23. But each one in his own order: Christ the Firstfruits, afterward those who are Christ's at His coming. Jesus is called "the Firstfruits of those that rise from the dead". (I Corinthians 15:20) Three days and nights after His crucifixion and early in the morning Jesus rose again from the grave. The Resurrection of Jesus came on the first day of the week. That day happened to be the 17th of Nisan, right on the Feast of Firstfruits. Note that the sabbath or 'high day" of the first day of the seven days of Unleavened Bread is then followed by a regular weekly seventh day sabbath, (or Saturday). There were two Sabbaths back to back that year, which was 32 A.D. Here below is a calendar of that epic spring and summer in the year of Christ's passion. Firstfruits is in yellow. Firstfruits was the first day after the sabbath following Passover. The risen Jesus Christ was seen that morning by Mary near the garden tomb. -John 20:10-18 Later He walked through the wall to visit with the disciples in a closed room. Thomas felt the wound in His side and confirmed that He was not a ghost. He was real. He had a spiritual body. His spiritual body was solidly manifest in this world. He could be touched and felt as a material body. 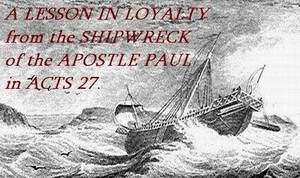 -John 20:24-29 After His resurrection from the dead Jesus met up with James and John by the Sea of Galillee. They were out in their boat fishing. He had bread and was frying some fish for them there by the seashore. 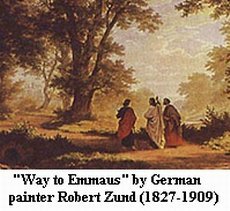 -John 21:3-14 Later He joined up with some disciples as they walked down from Jerusalem on the road to Emmaus. (See the wonderful painting above by Robert Zund). This was the manner in which our risen Lord operated in this cosmos during those weeks before He ascended to the Father. He would appear among His people, join in fellowship with them, minister to them, and then disappear. Will this be the pattern of His ministry in the Millennium?